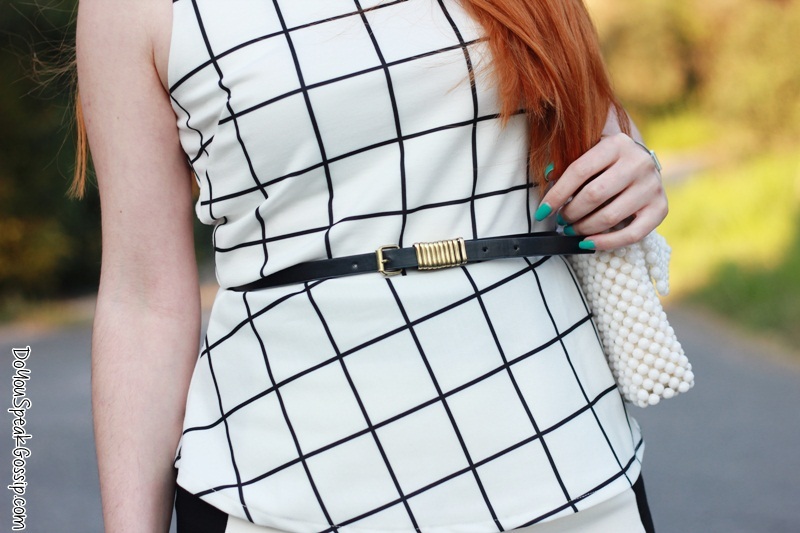 Chic in black & white | Outfits - Do You Speak Gossip?Do You Speak Gossip? I finally got the chance to wear my new peplum top. I bought it on sale a few months back, but of course I couldn’t wear it back then. I had this combination in my mind for my first outfit with it, and I’m glad it worked out like I thought. 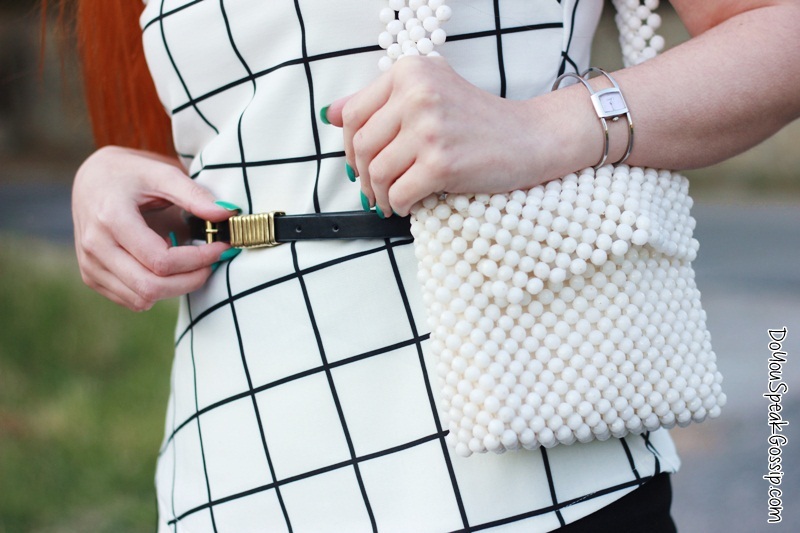 The whole outfit is black and white, and the only colorful detail is my green nails. Super simple, elegant and with minimal accessories, exactly the way I like it. I can’t believe I’ve been through a phase of maximalism in the past, after spending most of my life wearing none jewellery. I guess we all go through experimenting phases, and if you’re also a fashion blogger you know what I’m talking about. I’m sure we’ve all “attended” our fair share of “arm parties” a couple of years ago. hehe So what do you think about this look? I loved this top! It really looks beautiful and I like black and white outfits! I think that the top combined with the nice skirt and the great jacket (I really loved it!) looks very chic, indeed! I loved the bag and the nail polish as well! I think you look stunning and I am glad the weather is lovely now! Makia! Thank you so much dear Denise. The jacket is perfect for middle seasons. I really love it. It’s really versatile. I’m glad you liked the look. Again, thank you very much! Makia! Εισαι τελεια Μαρκελλα απο την κορυφη ως τα νυχια! Σε ευχαριστώ πάρα πολύ Ελευθερία μου! 🙂 Να’σαι καλά! Pingback: Walking on air | Outfits | Do You Speak Gossip?